This is something I do weekly. You can keep up with what I’ve done throughout the week and what I’ve read or bought. Always feel free to share what you were up to during the week in the comments below. You can click each image, it’ll take you to their Goodreads page. Happy reading! Hello everyone! I spent so much time away from my computer this week. I didn’t do too much of anything so there’s not much to update. Julian’s birthday was on Sunday and we had a pretty lazy day. I love spending his birthdays at home and just doing things we love together. Happy 33rd birthday baby! Update on our garden: we do have sunflowers growing! Also, broccoli! I’m super excited that were actually growing things. It’s amazing. So far, it doesn’t look like anything else is growing. It’s sad but it’s okay. We can always try again. I also started reading Harry Potter to my son. He seems like to the idea of me reading to him, but he can’t get into it. I think it’s because there aren’t any pictures. So, I’m thinking about purchasing the illustrated versions. He’ll definitely love those. Perfectly Imperfect by Harper Sloan: I came across this in the recommendations section on Amazon. I was sold on it immediately. I can’t wait to dig into this book to make me feel all the feels. 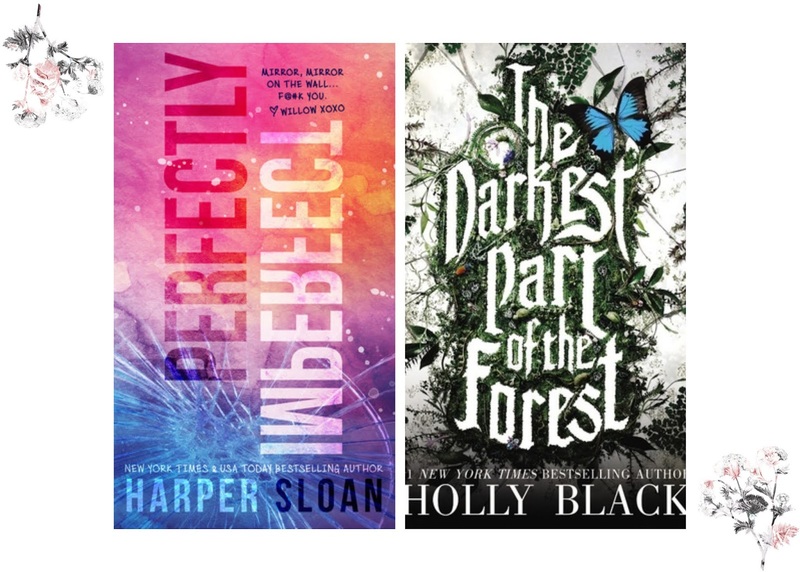 The Darkest Part Of The Forest by Holly Black: I’ve been having series withdrawals from The Cruel Prince. I can’t wait until January to get my hands on The Wicked King. Until then, I ordered this one on Amazon and I’m hoping this cures some of those withdrawals. 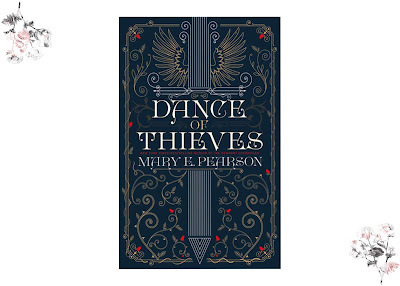 Dance Of Thieves by Mary E. Pearson: I bought this book because it’s so beautiful. Unfortunately, I don’t have good service in Books A Million and I couldn’t do my research on it. Apparently, it’s suggested that you read Pearson’s other series, The Remnant Chronicles, before reading this one. Ugh. I don’t regret getting this book at all. I’ll read it eventually. 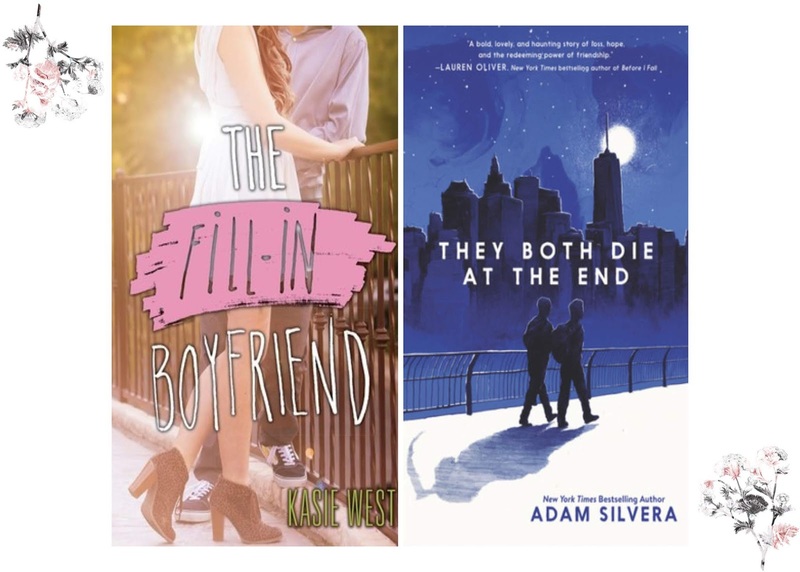 The Fill-In Boyfriend by Kasie West: I was not a big fan of this book at all. Almost makes me wanna stop reading Kasie West period. But I own too many of her books to not read them. They Both Die At The End by Adam Silvera: This is my first Adam Silvera book and definitely won’t be my last.